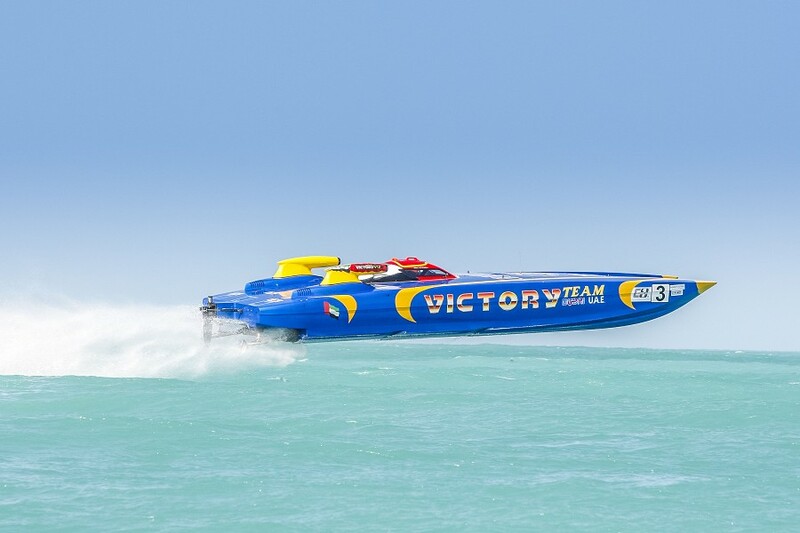 Arif Al Zaffain and Nadir Bin Hendi delivered another racing master class to win race 2 of the Grand Prix of Abu Dhabi and claim Victory Team’s 14th World title. Race 2 honours in V1 went to Bernico-New Star’s Belgium duo, Nico Bertels and Frank Hemelaer, with fourth place for race 1 winners Aaron Ciantar and Dominique Martini in Chaudron good enough to seal the V1 World Championship. 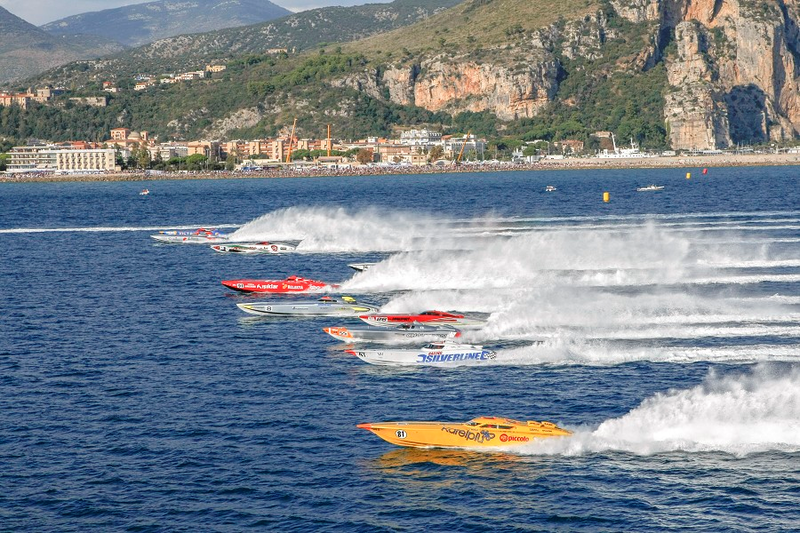 Luca Fendi and Giovanni Carpitella produced a breath taking performance to take their first win together in C1 at the team’s home Grand Prix, with Aquasport’s Daniel Cramphorn and Nico Huybens producing a totally dominant performance to win in V1. 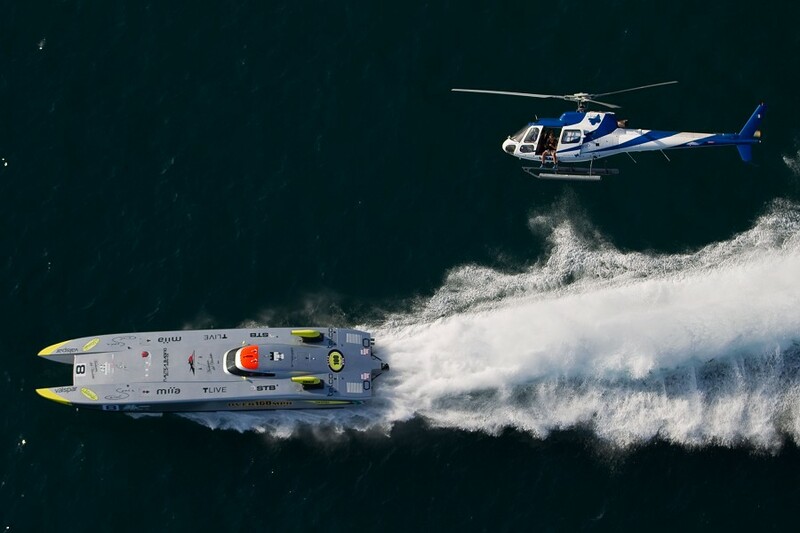 This weekend saw Victory and Chaudron produce the stand-out performances of the Class one offshore Ibiza Mediterranean Grand Prix, cruising to emphatic victories in their respective classes in dramatic races that were red flagged after Abu Dhabi crashed out at the first corner, both Faleh AL Mansoori and Rashed Al Tayer emerging unscathed from the upturned boat. 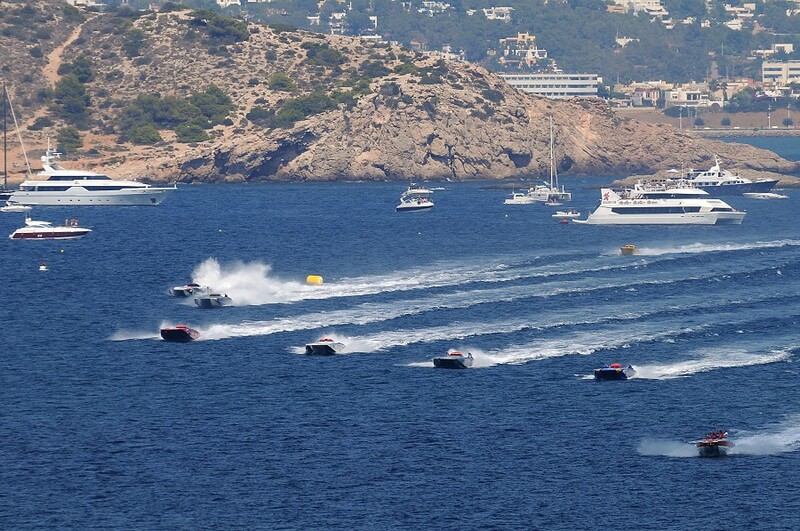 The WSB team were there to see the explosive action take place of the coast of Ibiza Island on a hot summers day. This season sees Class 1 lining up for its 51st year since being sanctioned by the sports’ World Governing Body, the Union Internationale Motonautique (U.I.M.) 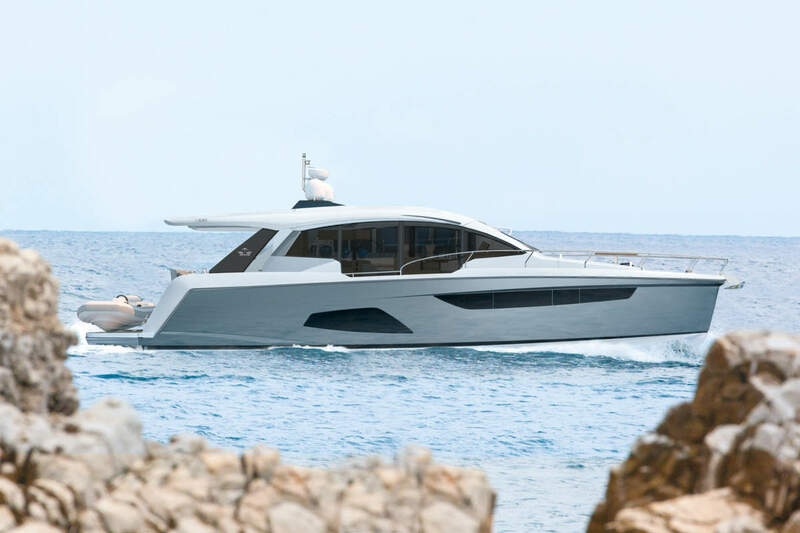 in 1964, with the exciting prospect of new venues, an increasing number of race boats with the addition of the Evolution class joining the tour and increasingly closer competition amongst its leading protagonists. 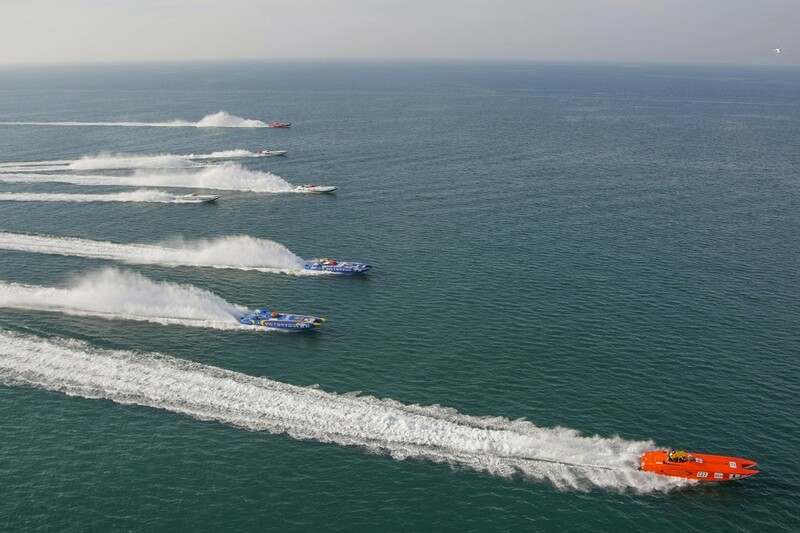 World Sports Boats is pleased to announce race coverage of this top flight racing series as the 2014 season gets underway. 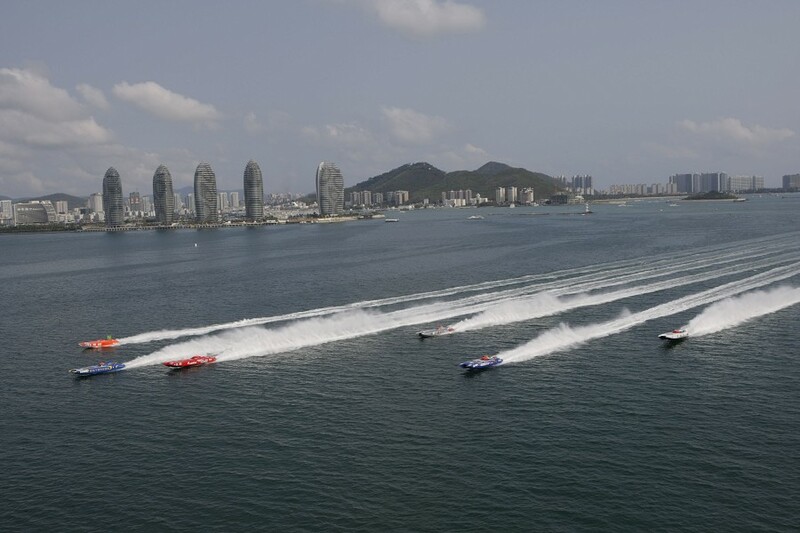 SANYA (China): Arif Al Zaffain and Mohammed Al Marri wrapped up the perfect opening to their season, winning race 2 of the Sanya Grand Prix to add to their wins in qualifying and race 1 to complete their Sanya hat-trick. 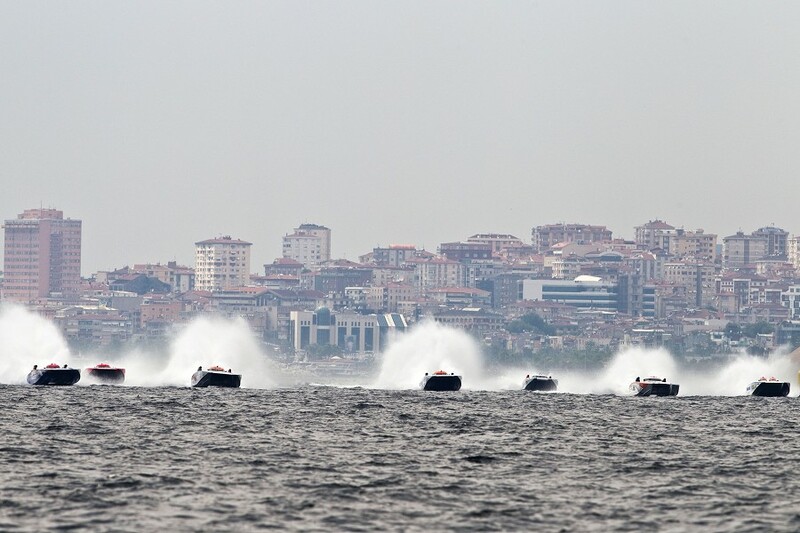 But Ugur Isik and Christian Zaborowski’s hopes of carrying the fight to Victory 3 and adding to their double podium seconds, ended in spectacular fashion when they barrel-rolled Zabo-Isiklar at the first turn.